Emaar Properties PJSC (Emaar) today announced its intention for a primary listing of Emaar Malls Group on the Dubai Financial Market (DFM). 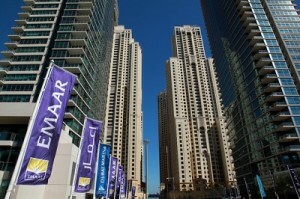 Emaar has received the required approval from the UAE’s Securities & Commodities Authority for selling down up to 25 per cent of its equity in Emaar Malls Group. The anticipated funds raised from the proposed IPO will be primarily distributed as dividend to the shareholders of Emaar Properties. The timing of the public offering and listing will be announced at a later date. Following the listing, Emaar Malls Group will add significant value to the bourse, and is expected to drive more foreign direct investment to the country to boost the economy’s overall competitiveness. Mohamed Alabbar, Chairman of Emaar Properties, said: “The Malls business is one of our high-performing subsidiaries, and the proposed listing on DFM will enable the business to achieve its true potential. We are thankful to the UAE Ministry of Economy and the Securities & Commodities Authority for their support, reflecting their long-term vision to strengthen the business environment of the country. He added: “We are thankful to our shareholders for their support to our strategic expansion plans aimed at creating long-term value. As a mark of our commitment to them, we intend to offer to shareholders of Emaar Properties a priority right to subscribe for shares separately from the shares allocated to financial institutions and the general public and we also intend to distribute the funds raised as dividend. The Dubai Mall, Emaar’s flagship mall asset, continued to be the shopping and lifestyle destination of choice by welcoming nearly 21 million visitors in the first three months of 2014. Last year, the mall hosted over 75 million visitors from around the world. Emaar is now further enhancing the fashion and lifestyle choices at the mall with the expansion of its Fashion Avenue by another 1 million sq ft, which will add more than 150 new shops to the mall. With a significant gross leasable area of over 5.8 million sq ft in Dubai, Emaar’s malls assets include The Dubai Mall, Dubai Marina Mall, Souk Al Bahar and Gold & Diamond Park.